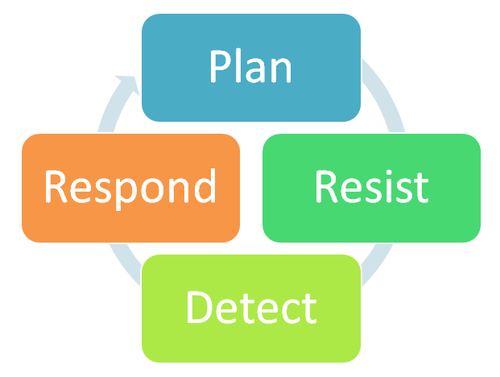 The security incident cycle consists of 4 major interrelated phases: Plan, Resist, Detect and Respond. Organizations that struggle with security incidents often do so because they focus too much on one of the phrases, ignoring the rest. I discussed the big picture of the security incident cycle at the SANS Forensics Blog, building upon the presentation I heard from Richard Bejtlich. I also outlined common failures related to the cycle: Pussyfoot Planning, Resolute Resistance, Dramatic Detection and Ravenous Response.